Pearly cluster bracelet in teal, turquoise, blue, and gold color, reminding you of peacock colors. 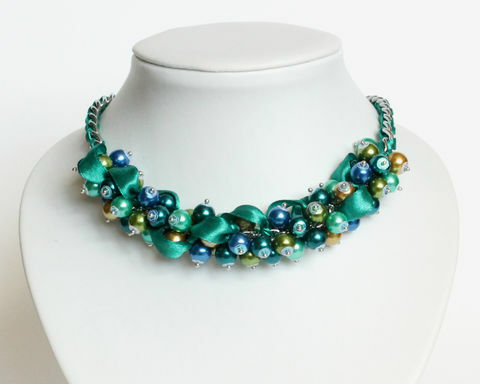 Made of glass pearls, interlaced with a teal ribbon. Suitable for bridesmaid, for prom, banquet, wedding party or any dress-up events.